Because we’ve got some changes in the works, and whenever you move forward, you have a tendency to look back at the same time. We will be revealing a new look for our blog soon (more information coming in tomorrow’s newsletter! ), but before we do that, we’d like to take a walk down memory lane. After all, we’ve come a long way over a matter of just a few years, wouldn’t you agree? Wow. Seven years ago. I can’t believe it. That’s when we launched Cinco Vidas, which means “five lives” in Spanish. I chose the name in tribute to my father, who fought cancer recurrences five times over a period of eight years. He was so strong and such an inspiration to me that the name just seemed to fit. We quickly built a robust information source for cancer patients, with articles focused on natural solutions to side effects of cancer treatment, and resources to help those in the cancer community to fight back and stay strong. We increased awareness about toxic ingredients in personal care products, and became advocates for safe self-care. In 2011, I released my book, When Cancer Hits, in which I talked about my journey with cancer, my father’s journey, and the struggles we both faced. I invited other survivors to share their stories, and provided a number of ways to manage side effects on the face and body, to help prevent recurrence, and to deal with the emotional and mental challenges of the disease. Meanwhile, I was working hard on my true passion: creating a safe skin care line. That dream started when my father was going through cancer treatments. He suffered some nasty side effects on his skin, and I bought a high-end cream thinking it would help, but it actually made his skin condition worse. That was when the germ of this whole idea planted in my brain. That was when I woke up, so to speak, from the daze I was in thinking that the products on the shelf-and particularly select products in the department stores-were safe for all types of skin. After watching my father suffer from the cream that I bought him (talk about disheartening! ), I was determined to find out why. Why was this supposedly quality cream doing this to his skin? I was shocked at what I found out. The product actually contained harsh ingredients known to be potentially irritating. Why would something like that be in a supposedly quality skin cream? Over the next few years, I learned so much. I researched skin care regulations, and found out that cosmetic manufacturers do not have to run their formulas by the FDA prior to releasing them on the market. They can do whatever they want to, basically-include any ingredients they want to include-and sell it to us, with very little oversight. I learned that many of those ingredients are not good for us, and several can be downright bad, causing allergic reactions, irritation, dryness, sensitivity, rashes, and redness. Some (more than I would have ever imagined) have connections to serious health problems, like developmental delays, hormonal issues, diabetes, asthma, and even cancer. Realizing the reality of the market, I determined to create my own line of skin care products that were safe for all types of skin-including those affected by medical conditions, like my father’s was. I was determined to help those with allergic skin, dry skin, wounded skin, and more. I also made sure to rigorously test each ingredient to be sure it had no ties to health issues, allergies, or irritation, and put the products through clinical testing to be sure they worked. I mean, I’m a makeup artist at heart-I wanted these ingredients to not only be safe and nourishing, but to leave the skin soft, smooth, and radiant! But we weren’t done yet. It was important to me that the products were made with ergonomic packaging, so those with neuropathy, arthritis, and other movement problems could still use them easily. We designed our bottles for one-way evacuation, reducing risk of contamination with the air or from fingers dipping into them. We were so careful of every detail, wanting to create a line of products that people could use with complete peace of mind-even pregnant women and infants-but that would still produce real results, creating younger-looking, radiant skin. Working with an expert team of dermatologists, toxicologists, and holistic skincare chemists, we gradually set a new standard for safety. It was 2012 that we finally launched the line. We called it “a sanctuary of safety.” A pioneer in the non-toxic, no-chemical space at the time, CV Skinlabs products were created 100 percent free of ingredients related to health issues, allergies, and skin problems, yet full of nourishing things like aloe, turmeric, reishi mushroom, bisabolol, shea butter, and so much more. We were so pleased by the reception! It was so much fun having people tell us how much they were enjoying our products. 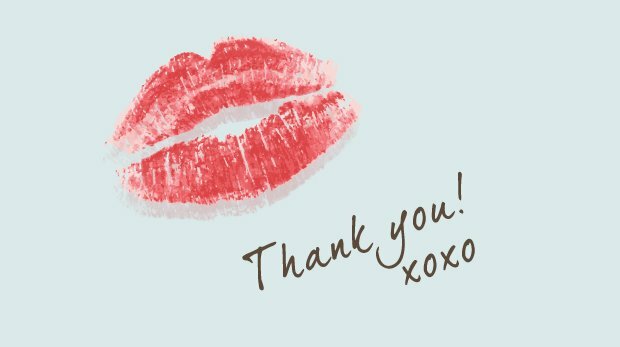 We received testimonials from makeup artists, yoga instructors, cancer survivors, whole living experts, doctors, nurses, celebrities, Mom’s, wellness advocates, and YOU! In 2013, just a year after the line had been released on the market, our Restorative Skin Balm was honored as “Best All-Around Healer” by the Healthy Lifestyle & Spa’s (HLS) Magazine for their Annual Earth Day Awards. Then again in 2014, our Rescue + Relief Spray was named “Best After-Sun Soother” by the same organization. In 2015, our Body Repair Lotion was a runner up for “Best Body Lotion” in the Kiwi Natural Beauty Awards, chosen from among hundreds of products! And we were recently voted one of the “Top 25 Natural Brands in 2015” by Examiner.com. A real highlight was when we went to the Emmy’s and shared products with celebrities like “Dancing with the Stars” Karina Smirnoff, “Glee’s” Jane Lynch, and model Ali Landry, among many others! It felt so good to get all this positive feedback on these products. We knew how good they were all along, but how cool to actually hear the feedback from the industry and especially from those people who were using them. We’ve continued to grow thanks to our retail partners and our community of wellness advocates, bloggers, makeup artists, moms, celebrities, and cancer survivors, who have all been super supportive of our products. We’ve heard from hospital nurses working with children that have eczema so bad nothing works-but our products finally brought those children relief. We’ve had moms write in to tell us how our products helped little babies heal from wounds, rashes, and more. We’ve had seniors tell us how soothing our products were on their fragile skin, and cancer fighters tell us how they calmed their inflamed, irritated skin and made them more comfortable. These are the testimonials we live for, as that’s why I developed these products in the first place-to help people who are suffering just like my father did. I can’t tell you all how wonderful it feels to know that other people are experiencing less pain and discomfort because of what we’ve accomplished at CV Skinlabs. Thank You to CV Readers and Fans! It’s fun to take a look back, and to remember why we started this journey in the first place. Of course, the only reason we’re still here, talking about any of this, is our fabulous CV readers and fans. So we wanted to let you know that we’re taking our beloved Cinco Vidas blog over to the CV Skinlabs site, so that our users can find everything in one place. Soon, the original Cinco Vidas site will no longer be available, but rest assured, all the information you’re used to finding here will now be available on CV Skinlabs, and you won’t have to toggle back and forth anymore. You are the reason we work so hard, and will continue to do so. Thank you! As we continue to make changes and upgrades, we’d love to hear your thoughts and comments. Please share your thoughts as we’d love to hear them.